Discussion in 'Chainsaws' started by BigRed96, Dec 26, 2016. 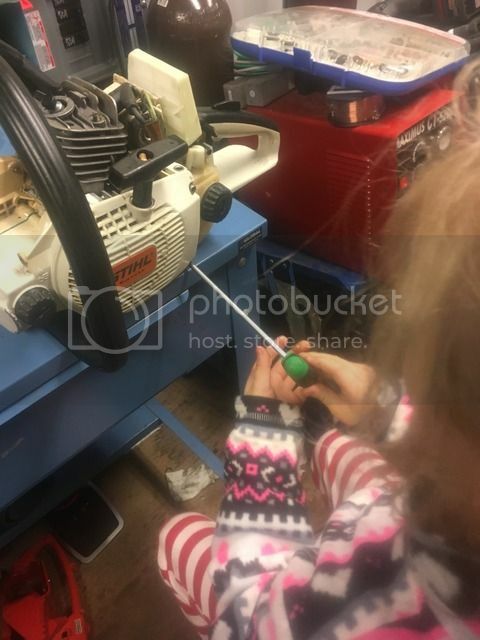 My youngest daughter is seven years old and enjoys spending time out in my shop with me when I work on saws. She will usually walk around looking at all the saws in different states of repair and identify carburetors. She has a thing for carburetors. I took her up to the Stihl dealer to order some parts and on the counter was a carburetor and she says "Dad, look at that carburetor." She's learning to identify the different parts as well. She knows that the butterfly moves and when it opens the engine gets more fuel and air. She says "The carburetor feeds the engine." 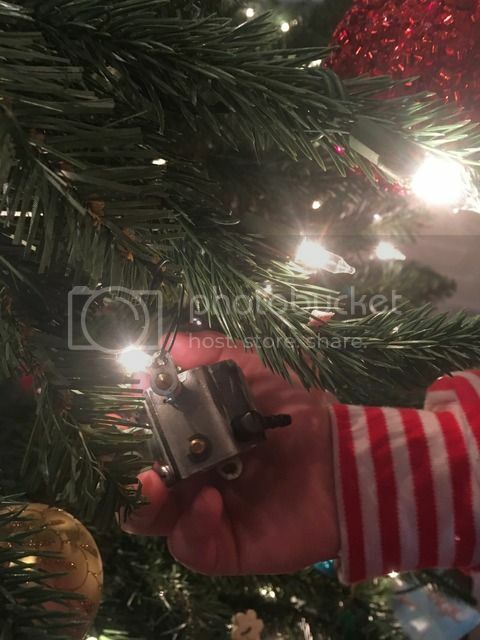 Anyway the other day I asked her if she would like to make a carburetor ornament and of course she said yes, so here is a pic of my daughter and her new Walbro WT326 Christmas ornament. ANewSawyer, fin460, concretegrazer and 40 others like this. cobey, leadfarmer, beaglebriar and 2 others like this. That's what it is all about! Very nice! Redbull661, cobey, Chainsaw Addict and 6 others like this. cobey, sawfun, leadfarmer and 4 others like this. That is very cool. I hope she starts turning wrenches here in a few years. Redbull661, cobey, leadfarmer and 4 others like this. I've got a bunch of NOS string trimmer pistons, crankshafts, etc that I've always thought about doing something like that with. Redbull661, leadfarmer, beaglebriar and 2 others like this. Mastermind, leadfarmer, beaglebriar and 3 others like this. Those pitons would look great, maybe engage a year on the top. leadfarmer and stihl livin like this. I've got 4 daughter and they couldn't care less. jacob j., cus_deluxe, BigRed96 and 1 other person like this. 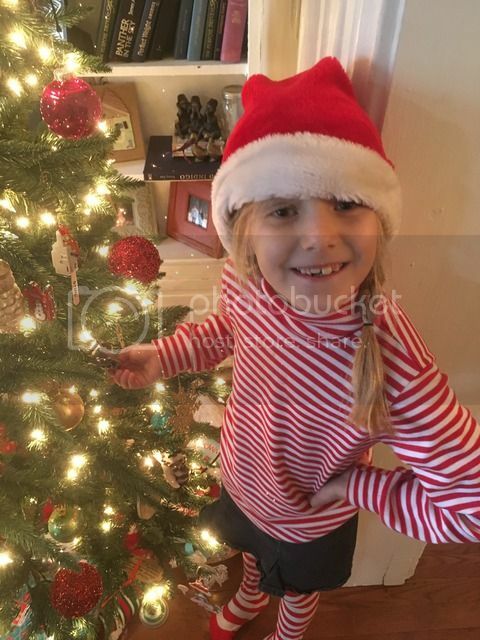 This is my little one when she was about 3 1/2. She said she was going to chainsaw that bucket, but her saw needed a new engine! Redbull661, smokey7, jacob j. and 9 others like this. BigRed96 and Mark71gtx like this. Great idea! That's great she's learning how things work! smokey7, BigRed96 and Mark71gtx like this. Before long I hope to get her helping me to rebuild some carbs or maybe even help with complete saw rebuilds. I love the idea of teaching her things I had to learn the hard way! smokey7, USMC615, Canadian farm boy and 1 other person like this. Thanks Normzilla, she's 7 but still my baby. Had her out in the shop tonight and we cleaned our first carburetor together. I broke all the screws loose and she disassembled the carburetor after the screws where removed. I showed her how and she ran the ultrasonic cleaner as well. She is a blast to have in the shop with me. We also worked on "righty tighty, lefty loosy" tonight. 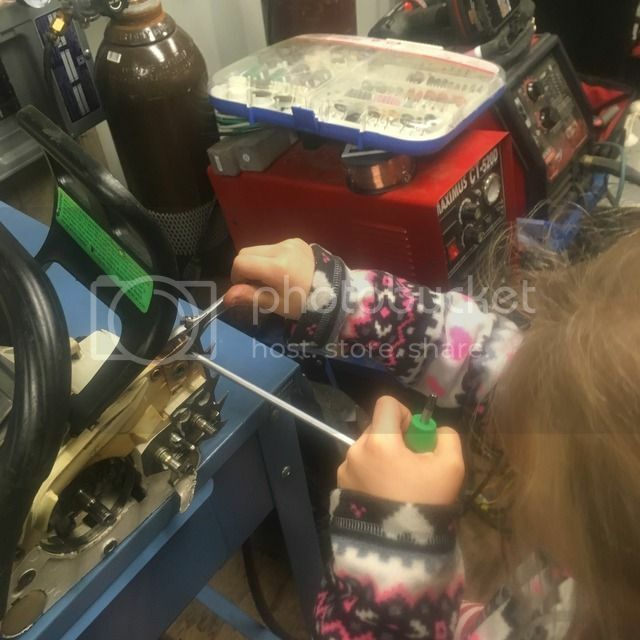 Here she is securing the recoil on an 026. This next picture she was securing the felling dawg using a 4in" cresent wrench and a torx driver. Her first time using two different tools for one job. I am a proud papa. ANewSawyer, fin460, Chainsaw Addict and 5 others like this.